benzyrnill, 旎宫嘉坊: out of curtained chase, covert inflicting adversity. dreamt of training of Royal member, ie. noble court and Prince himself. how his attitude toward his servants, esp 3 closest counselors/secretaries, can affect the quality of leadership. saw philosophy in ruled social interactive or code of eloquent. then dreamt with my wife treated in a banquet, with social skill just learned in train. last week's shopping online, a backup router Asus RT-N66u, finally ruined by PRC surveillance. the express, STO.com, totally denied the parcel it serving, just as taobao's logistics. the poor vendor kindly promised me to check why the parcel missing or went wrong, but after 1 day he rebuffed my call and prompt refund me instead, likely unspoken shame of PRC secret cop's hassle intimates him, seals his mouth from disclose iron curtain. with the money returned, I at once ordered another from different vendor now that the market is full of the product. within the day, around 4pm, the vendor sms informed me parcel dispatched. God, dad, how I glad to hear that! yesterday after read news that squareup.com offers in account credit service, I decided to give it a try. but when I trying signup the wonderful website, my internet worsen and inaccessible for 3 hours. I finally gave up and shut down computer. PRC dog likely warns me that even with most powerful network hardware, they still interceptive in my internet traffic, or blocks my financial connection with American service. however, after dinner and a thunderstorm, I smoothly claimed 2 zhone accounts with squareup.com and its affiliate, cash.me . without US SSN number most services out of my reach, esp highly expected in account virtual credit, or deposit in site, but still the wonderful service from the same founder of twitter.com, generously offers us 2 vanity url, https://cash.me/$faezrland and https://cash.me/$zuocenter . I can't be more proud of the operation out of distress of surveillance. in the week I also modified 2 online resource of google sites' widgets, both of google photo's, to fit my online brand, and deployed onto my portal. visit them on http://www.be21zh.org/regalbum . hope the author grants my reusing his code in xml file that show my google albums' rss source. and I honestly pray google sites, now confronted by google new sites, doesn't elapse into disappear. zhone assets based on the service remarkable hugely sustain. God, dad, this month I merely left ￥100, grant us a happy weekends with my son, woz, Hope of China. bring sooner my crown Queen from Japan, Asoh Yukiko, for better management of my vested Empire of China. 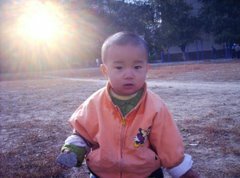 bring me my second child as namespace billingzhu.com prepares, and his locked facebook account into using. with adequate financial support, dad, God, I live anxious free in this eccentric city for future open and welcoming eastern Asia. dreamt near lunar spring festival at my hometown. saw changes in the village: newly built dam control gate and road. the road near dam gate left with deep and steep wheel dents due to insufficient budget for concrete. I saw our village field, flowers and leisure villagers among it. In dream I married my niece, ie. second daughter, the tallest in her sibling of my mom's niece in a village around. but we were divorced soon in dream and our son left me sad for the changing life. last week full of joyes with improved salary. my urgent bills wrote off by it. now with ￥200 loaned by dorm canteen I will visit asylum for medicine today. my backup cellphone, an old moto, hacked and ill behaved, so I deleted critical database on it immediately. it usually disabled both wifi and bluetooth, nor sim card in it. so likely hacker with direct control on it. I wondering if the facing door, a secret cop surveillances me since weeks ago, stealth into my room and injected it malware. my parcel from ordering used router for vpn on taobao.com, delayed a week still it only left one logistic information: dispatched by vendor a week ago, and nothing else happened in other 6 following days so far. another item, a usb card reader, its logistic information also hijacked several days till it reached locally before updated on time. PRC close surveillance sometimes made me sad. the facing door dog, with all its momentum after just settled, half open his door all day and night, unshakable anonymously fixed my door which was tight and sometimes my son in monthly visit even can't push open on his own, likely in weekends when I left to visit my son 3 bus stops away, just under corridor webcams' monitoring evidently and lawlessly. now that my broken door too loose to hold close breeze, I intended directly lock it down after I enter, distant from any spy around in guise superficial sharing privacy any more. the facing cop also in recent days gave up letting its door half open to peek and eavesdrop. my cold shoulders toward his posed free community but just surveillance from which he earns his dog life, likely conveys strong dislike and ruins his fool's joys and presumable fake poise. he also likely partially completed his mission: stolen my password keeper's database, infected my portable devices with trojans and keyloggers, licked my floor with its dripping messy tongue. the long challenge for a clean os out of controlled and poisoned environment in PRC's hooligan nation really drains me, let me feel boring and labored. what's laughable is that, the neighbor tall dog, once pretending cough every day and spitted everywhere in excuse of his illness, these days silently stay unnoticedly astray, quit both domineering and his condemn the tidiness of dorm public space. CCP authority has its power just upon those cheap souls and zombies which label price of manipulation. dad God, save me from fatigue of faith in long run. bring me sooner my Royal China to discipline China and Chinese under holy. remove trifle divided with merciless by forcible authority and in glory of united one. God dad, bring me sooner my crown Queen, Asoh Yukiko, from Japan, for coming age. bring me more offspring to sustain the 1109 years life of my Empire of China under title Zhu's. bring me lighter credit debt in coming months. gradually people around me turns better treating me. my gaze when I jog in dusk turns some women and girls friend to me but also gathers hatred. reviewing women in my life so far, I sometimes touched by kindness and grace of QRRS Dorm canteen woman who operating the small business with her diligent husband. his husband is a tall pal, his kindness to his wife is enviable. these days I likely overdo my kindness to them, and easier led to misunderstanding. I always remember first time I met the spouse when their business just open, how the woman confident and contented. I then felt I can help her with her target, wellness & independence. now about 7 years passed I didn't miss it. sometimes love recalls my campus life, esp master degree seeking period when I met Asoh Yukiko. God blesses me with brave heart, whole vision and all those memories so timeless cherished. I don't want to hurt anyone, but the canteen woman's husband likely taking, for his less gifted, for his property appreciated. God, fix my poised with due humility. yesterday I gained a bonus from QRRS, my once and long time employer, just after a day my salary released, which increases near ￥500. the bonus addes another ￥500. with it I renew my godaddy hosting plan for another half year immediately. also renew billingzhu.com a year. with improved salary I ordered backup router from taobao.com, as incredible satisfying and enzymes me in super confident mood. 2 days passed I still felt the content. yesterday I also retouch my homemade gadget on google sites, which now tending to ban such hosting function and my in time usage likely saves me extra cost from google's wonderful and generous free service. see them on most of our zhone portals homepage, in section of blog rss feeds and tweets, youtube, groups, donation links. its nice feeling, for even I never master scripting skill still I probing those scripts and tailored them into my buildups. I gain so much from my education, my ability to self-taught. dad, God, bring me sooner my Crown Queen, Asoh Yukiko, and my Empire of China for larger comfort in my life, for fulfilling the proud creator life experience. grant us a happy monthly reunion 2 days later, and monthly cinema and walmart shopping in a pack with dearest son, woz. Its a sunny morning, I felt obliged to get up and do something. Recent testing tomato router script put me in a worker’s mindset, absolutely nothing else beyond task memories. I dived so hard that I merely recognize other things than occupied by inch in inch progress I strode outward chaos and no effect. My son last Saturday lost his desktop logon confidential, So I taught him to reinstall windows 10 and roughly customizing before backup to image. He reluctant but worked with me, while his sinful mom, a cheap junior school teacher, close watching my tutorial on computer. She occupied her house every free hours out of work, grasps dirty money from tuitions she ought to offered on job. After 3 years and graduated and then 2 decades, she every more than 12 hours in a day earning from the educational bits even it's shabby in quality in her college. I more and more felt its insane. My son due entertainment ruined for his mom’s house forever a craft hut for his mom and her cheap pupils. In this view, I recently relentlessly equip my son with lounge TV and English programs, on which he enjoys and absorbs when his visits monthly my dorm and on my seat. I hope the moment he enjoys staying with me and my workspace forever prolonged. So last month I equipped him a touchpad k/m combo for convenience of remote input on pc and android TV. The Chinese product works smart even we anxious about keylogger and other spy wares lawless PRC breeds, in favor of dog CCP and state surveillance. My son more or less accepted my arrangement, promoting him from mobile games he excels now and adopting more language and expressive method as his new skill to master. I times and times urged him makes fair use of our borderless web. I hope he enjoys meanings in American culture stocked in amazon prime video and youtube, vimeo sites. My trustworthy video education, defied me in youth decades, pacifies me more than 2 hours daily, broaden my worldview and wishfulness so much that I have to put on forth my son, for his beneficial social experience and nutritional source of moral and spiritual. God, dad, my life so rich that I’m constantly complacent. Bring my son meaningful in his scope of activities. Bring me sooner my Royal China to protect her from poverty grilling the land and souls only left after CCP and PRC. Bring producing capacity our fatherland sustains before the burning out in cheap dealer like communism. Bring me sooner my Crowned Queen from Japan, Asoh Yukiko, for unfinished mission we beset, among a never seen silver proud heaven on eastern Asia. Thx you, dad God. a newly budding tree in QRRS Dorm where the Son, benzrad, praying and sustains.